Beckie was amazing to work with when we sold our home! Her knowledge of the local market was invaluable in helping us get top dollar! She was very professional and responded promptly to any questions we had! With Beckie’s help, we were able to sell our house in 6 days for a higher price than we had originally hoped for! We would very highly recommend using Beckie for whatever real estate needs you might have! Beckie is a true professional. She helped us sell two of our homes and purchase a new home over the past 15 years. 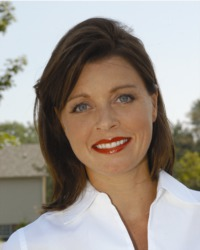 She is very knowledgeable and the GO-TO-PERSON if you want your home sold quickly and for the most money. It has been a pleasure getting to know and work with you these past several months. Lisa and I can’t thank you enough for all your help and support in the purchase of our new home. Your professionalism and personal touch made a world of difference, and provided a sense of comfort we’ve never experienced in the purchase of a new home before (and we’ve bought a few). You not only made us feel like a Customer (which is hard to find now-a-days), but also made us feel like we were family. We knew we could call on you to help us out of “sticky” situations with the builder, and that you would provide the right guidance, direction, and support. Having worked for a relocation company and moved nine times, I am very particular as to how my house is marketed and closed. Beckie is as good as it gets!!! She is intelligent, hard working and friendly. I would put her at the top of your agent list! Recently my wife and I sold our home in Carmel through your company and Beckie Schroeder. We have relocated numerous times throughout my career and this experience was by far the most professionally and skillfully managed of all. Beckie’s input regarding presentation of our home, feedback from buyers, follow-up, courtesy and professionalism was outstanding. In a challenging market for sellers she made this a painless experience and I would recommend her to anyone requiring your services. You have an extremely valuable asset in Beckie and I wanted to share our experience with you. I want to thank you very much…the service and attention that you provide to your customers far exceeds any level of service that I have ever encountered…I am pretty particular so that is saying a TON…. Beckie always worked to make herself available to jump on a listing, assess a home, and quickly set up and coordinate showings. This was very critical as the market was moving very quickly and many listings were selling shortly after being set up on MIBOR. She brought her vast market experience to help us to think through the needs list and shared open feedback about each showing. This was a tremendous help in the offer process and navigating the transaction through to a smooth closing. Beckie was amazing to work with. We never felt like she pushed us into any home. She told us the negatives and positives of each home honestly. Beckie responded to our emails and phone calls quickly. We sold our home in 18 days! We hope to have Beckie sell us another home in the future when our needs change again. We are so thankful we chose her as our agent! Beckie was the best agent we have ever experienced! She was professional and extremely helpful. I would recommend her to anyone. We ended up trusting her recommendations for all services. Based on our experience we would go through Tucker for everything . It has been a pleasure to know and to work with you in the past three months. Your professionalism and your attitude really impressed us. You provide more services than regular realtors. You helped us to make the house more appealing with a different color of paint and the rearrangement of the furniture. I have learned so much from you and have been passing your advices to another friend who is selling their house in Kokomo. We also appreciate your help to fix some issues came up during the inspection. You are 3 in 1---realtor, interior designer & handy-lady. Thanks for working with Gary to reduce the cost dramatically as well. May God bless you, your family and your business. Beckie was GREAT.... my wife enjoyed working with her throughout entire process. She was a "pit bull" when she needed to be. And a true professional the rest of the time. I would highly recommend Tucker and Beckie to anyone looking to but or to sell a home. When we decided to list our home, we knew what we were looking for in an agent. We wanted someone who was honest, hardworking, efficient, and friendly. Someone who knew our area and could get the job done fast. We found that in Beckie Schroeder. From the initial home interview to the closing table, she never stopped working. She knew what needed to be done to get the maximum dollar in the shortest amount of time. We were kept informed after every showing. She answered every email and returned every phone call. When an offer came through, she guided us in making sure it was the right one for us. From inspections to appraisals, Beckie made sure it was done quickly and correct. She made selling a home easy!! We definitely made the right decision in choosing Beckie. She is a true professional who cares very much for her clients. The service and personal attention we received from Beckie was exceptional. Any chance we have, we tell everyone our home selling experience. Regardless if buying or selling, you couldn't find a better Realtor. We are happy to recommend her to family and friends. Beckie is the best real estate agent I know! I have had the pleasure of working with her on several occasions during the search for rental properties and ultimately our dream home. She is extremely thorough, detail oriented and knows the market inside and out. She always goes the extra mile for her clients. We will use her services in the future if we ever need a realtor again!